When I was approached by the Daughters Blog team to write about my method of managing a large family, my first thought was, “What on earth can I say? I have no formal strategy of attack, no neat and tidy five-step plan I can share. Besides, my husband is the writer, not me.” My second thought was that if I do not respond, maybe the request would go away. It did not and I was approached again. After sharing my reasons for hesitation, I was given the opportunity to simply “talk it out.” What I discovered when speaking my heart was that, while my way of doing things may not be a defined strategy, I have been intentional in my approach to raising my five daughters. Every family has a set of circumstances they have to navigate through; ours is raising five daughters with no more than 2 years between them and three that happen to be triplets. In the space of three years, we had one daughter then went straight to four, and then we jumped to five. We did not have the luxury of building our large family slowly. We did not have the luxury of time to figure things out gradually. We had to “just do it” and make it work while walking through the process. The girls are amazing young ladies now and we are in the season of loosening the apron strings while still covering them. As I look back, I realize that, even while our lives could be random and unconventional at times, there were certain things my husband and I remained consistent in when raising our daughters. Ideas that influenced every choice we made as parents. The idea of togetherness began with my husband after the triplets were born. He included our first born, Sasha, in every aspect of caring for the babies. It was very important that she always felt a part of the family. Even after our fifth daughter, Lyndsey, was born, the practice of keeping the girls involved in the caring of their sisters continued. As the girls grew older togetherness was not just something we did, it was also a necessity. It was easier on us to keep the girls involved in activities they could do together. We kept them involved in church and school activities. Rick even had them assisting with the family business. There did come a time when my husband traveled quite a bit for work and I found myself living the life of a single mother. During this season, keeping our daughters active together became a necessity simply because it enabled me to cope with doing a lot of the parenting by myself. But whatever the reason for out “do it as a family” philosophy, it has built a strong family community. My daughters understand the importance of their sister to sister relationships. They are extremely protective of each other and they do not let things fester or come between them. Flexibility was one of the first things we learned when finding ourselves parents of a large family. Our family is made up of seven people with seven different personalities. At any given time there may be 70 times seven different possible directions we are all going in. A lot of the time—most of the time—things do not go as planned. We certainly did not expect to go from one child to four with only two pregnancies. We had to learn to adapt, to adjust quickly and to “go with the flow”. We learned to make it work no matter what came up. Being flexible is something our children had to learn as well. With five young women all needing something, there is the very real possibility a needed thing may be missed. Something may not be done, or plans may have to change due to unforeseen circumstances. We have taught our daughters to be understanding in those times as we as parents have had to learn that lesson also. My last point is for all mothers everywhere—know your limitations. Raising five daughters is a big job and I am only one person. And while I try my hardest, I cannot be everywhere, at every moment, for every need. I am learning to give myself grace. Knowing what I can and cannot do is extremely important right now, because my daughters are all teenagers with different interests, activities, and needs. I am now in the position where I must pick and choose the things I do on their behalf. It is a balancing act because I do not want either daughter to think I prefer one over the other. Of course, while I am walking through this process, I must make sure to pass on this energy of understanding to my daughters. The need to recognize my limitations and understand that it does not mean a lack of love. Understanding my limitations also means I do not over extend myself or make promises I cannot keep. This is key to keeping our relationships intact. My life raising five daughters so close in age is sometimes crazy, totally unpredictable, mind blowing-ly busy, and I would not change it for the world. Theresa Belliotti is married to Rick Belliotti (for 21 years) and is mom to five daughters: Sasha (17 years), Mykenzie, Courtney and Gabby (15.5 years) and Lyndsee (14 years)! She was born and raised in Seattle, Washington and lived with her family in Chandler, AZ (18 years) and now San Marcos, CA (3 years). She has a degree in Hotel/Restaurant Management and seems to use it daily in her life as a “mostly” stay at home mom/bed and breakfast operator. She began working part time in the church offices 1.5 years ago and is now enjoying the new opportunities it brings. She loves babies, opening their home to others and just about everything in her life. She gives all praise to Jesus for the beautiful and crazy family He has blessed her with! It’s been eight months since I last saw my sister Robin. Eight months of processing the sweetness of the time we had and questioning why she had to go so soon. Robin was 58 years old and no bigger than a minute at the height of 4 foot 11 (even though she would tell her doctors she was 5 foot—I never corrected her). Her feet were so small that she could buy shoes in the kids’ section, which pleased her because Hello Kitty was her favorite! Over these past eight months I have documented the faithfulness of God. Our prayers were answered with both yes and no responses. Note: God always answers our prayers. He sees us. He hears us. He answers our prayers. Robin died of cancer. She was originally diagnosed with breast cancer, and then within a few years it appeared in various places. She fought a tough battle with grace and dignity. We battled together with prayer and a large dose of humor. In my flesh I feel she went too soon. In God’s plan she fulfilled the days he had for her. Now I stop to gather up all my thoughts and seek what God has in her story. Robin’s favorite saying was, “This is my new normal.” This statement is a testimony of her acceptance of what God had for her. She was brave and strong. While tending to her husband Larry for most of their marriage, she cared for him with so much love, even while working full time. He was her “Buddy” and support. She knew one day she would be able to attend Bible study after he was gone. Larry passed away two years before Robin from complications due to diabetes. She began her bucket list and moved into her “new normal.” Her list consisted of putting her toes in the ocean at the beach in Mexico, to see the Blue Man Group in Vegas and she was now free to join her first Bible study. To my surprise she joined Bible Study Fellowship. (Remember, God had her on a fast track.) They were studying the book of Matthew. So as she passed, the only book in the Bible she had completely read was Matthew. What a loving God to give her that book and those words of Jesus to serve her in her last days. She dug deep into the Beatitudes and was fed a dose of healing that her doctors couldn’t provide. Looking back, every prayer was answered. Larry lived long enough to walk his daughter Kendall down the aisle at her wedding. Robin prayed for a grandchild before she passed— that prayer was answered in the form of an adorable baby girl. The Lord poured out multiple blessings in a small amount of time. He brought joy and peace through these answers. Through all the months of struggle I felt God so gently guiding, Jesus comforting and the Spirit moving. In my flesh I was seeking peace through good outcomes but was always reminded that we grow in the struggles. We grew. We grew with every diagnosis. Every treatment. Every disappointment. We grew closer to each other and closer to Christ. During her illness I was led to confirm her purpose in this life. As sisters in the same family and sisters in Christ’s family, we sat and went over all the blessings. I had the honor of speaking the truth over her as we sat and cried. I got to share with her that she was a supportive loving wife, good friend and caregiver, a great mom and then a sweet grandmother. She had been a good sister and always thought of others before herself. She lived with the living kindness of Jesus. The Spirit was alive and well within her. When we let go of our disappointment of her time frame, God showed us that his timing is perfect. This held such promise for me. Right out of Proverbs 3, she was reminding me to not lean on my own understanding. I set out to encourage her and God used her to encourage me. I hold tight to this Word that came through my sister because I know it’s from the Lord. Seeking the Lord in all things brought such joy through our journey. Robin wore a Dory pin on her sweatshirt to remind her to “just keep swimming.” While running the race in this life, she ran to win. Robin received her prize just after midnight on Nov. 6, 2015. She had her daughter by her side and was ushered into heaven with the song “I Can Only Imagine” playing by her head on her pillow. Through God’s provision, we were guided through her last days by a hospice nurse who went by the nickname Mimi. She loves the Lord and grew to love my sister. She was a gift. She prayed over her night and day. I would find her speaking over Robin about how exciting it was going to be to enter heaven and see Jesus and Larry. Today we celebrate the next little granddaughter that arrived in September, the birthday month of both Robin and Larry. This little doll is named after our hospice angel Mimi. We will call her by Mimi’s given name, Noemi. I believe in the truth of Romans 8:28. God does work everything together for the good of those who love Him. So this is a praise report. Praising in the midst of my broken heart. Now I understand that my broken heart gives me a chance to share the pieces. We are only whole in Christ, and He wants us to share our brokenness. Please take a piece and be comforted. 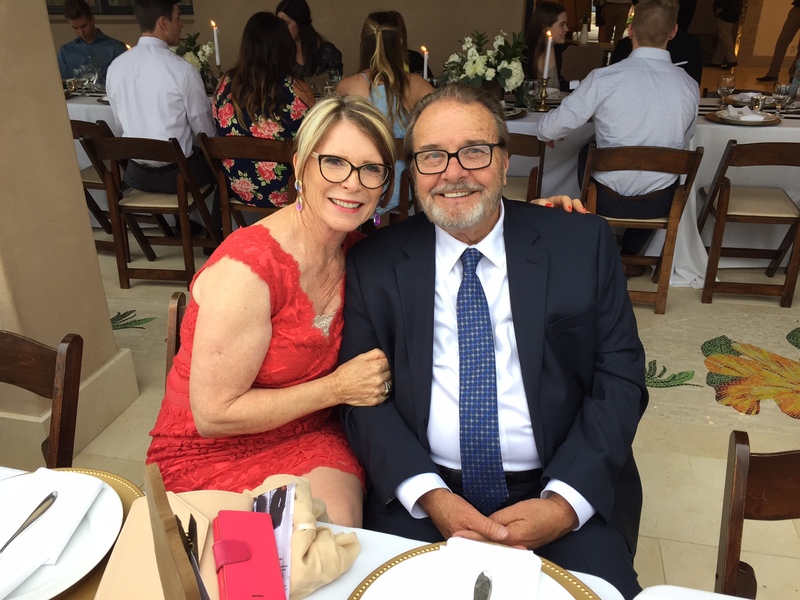 Raylene Thomas has been married to her best friend, Tom, for 32 years. They have three adult children and live in Valley Center. Raylene is a lover of people and has a heart for volunteering. She just closed out a two-year season working for The Father’s House as the office manager. While very active with The Freedom Challenge, she has developed a heart for those who are trafficked. This next season brings promise of many new adventures while watching for open doors and trusting and listening to the Lord’s leading. She loves to laugh, take time with friends and be in the mountains. Above all, she treasures time with her family. A story about seeing the humanity in all of God’s creation and reuniting long lost loved ones. I am guilty of seeing a homeless guy on a bench as a nuisance to society. Until it became a family member. Eli’s brother, Isaac, has been homeless in DC for 3 years and we had lost contact with him. We didn’t know if he was even alive. It’s been horrible. With my mother-in-law, Mary’s, recent heart emergency we all hoped we could find Isaac. Eli tried. We prayed. Here’s the story of the guy who saw Isaac and was moved to do something. He saw Isaac as a son, brother, a child of God. Please keep praying for Isaac. We are so happy he’s alive. I’ve been blessed in many ways throughout my life, too many to count, but some of those blessings are extra special. Today I’ve spent a lot of time in thought about the highlights in my life, and this week ranks right near the top. My family spent the week in Washington DC with about 35 other members of Greenwood Baptist Church. We were there on a mission to meet and love the homeless and show them there are people that care about them. I was there to learn to love those different than myself, to learn how to show others the grace that God has given me; to learn to be more like Christ. I had been praying for sometime that God would use me to impact someone’s life in a major way. Not just a free lunch or a bottle of water but in a BIG way. Unbeknownst to me, there was a family in South Carolina and southern California praying that someone would meet their son, minister to him, and help them reconnect after three years of separation, worry, and fear. On Tuesday my family and I met a young man named Isaac. He was very guarded, and shy, but polite, almost to a fault. We spent maybe 15 minutes learning a little about him, where he was from, how long he had been there, asking if he needed anything, which he insisted he did not. We learned he was from my home state of South Carolina which immediately led me to feel some sort of connection. We parted ways with a handshake, but I couldn’t shake the thought of him, all evening and night I thought about him and the story he had told us, about how young he is and how much of a future he could have. The next morning we headed back to the park where he had been sleeping on a park bench. Our eyes met shortly after I entered the park and I could see that he was as excited to see us as I was him. We invited him to lunch, played cards, talked, and got to know each other more. I eventually asked him if he wanted to get back home and if he would like to call his family. Yes, he wanted to go home but he didn’t want to call, his parents and siblings would all be working he said. I didn’t force the issue but promised I’d see him the next day. Later that evening I was sharing his story with Pastor Shane Blankenship. I mentioned he was from the coast of South Carolina and Shane told me they were evacuating those areas because of the hurricane. I immediately realized that was my excuse to get him to reach out to his family. Thursday would be our last day in DC. It was now or never. We were going to be in the park handing out pizza and I was anxious to see Isaac. Sure enough he was right where I had found him the previous two days. We shared pizza and talked and I let him know about the hurricane. I explained about the evacuation and that in all likelihood his parents wouldn’t be working and it would be a perfect time to reach out. He agreed and I dialed the numbers for him. My heart sank as both calls went to voicemail. I could see the disappointment in his eyes. We kept talking and I told him if they called back I would come looking for him. He didn’t want me going through any trouble but I would’ve walked through fire to see him talk to his mother and father. We prepared to part ways for what I feared may be the last time. We all hugged him, prayed for him and went our separate ways. Shortly later I got a text from his mother wanting to know who I was. A quick explanation led to a return phone call. The first words out of his mother’s mouth were her prayers had been answered. I thought to myself “so had mine!” We talked for about an hour, she shared more of their story with me and more details about the events that led to Isaac being homeless and so far from home. She told me how she had nearly died from a torn aorta back in the spring and spent 5 days in a coma and Isaac had no idea. Everything she told me lined up with what he had told me thus far. I couldn’t wait to get back to the park and let them talk for the first time in a year. They were very willing to welcome him home with open arms under the understanding he seeks help with the issues that landed him on the streets. I enlisted Curtis Adams to head back to the park with me as quickly as possible, Isaac lit up like a light bulb when he saw me. I gave him the good news and also shared with him the news about his mother’s near brush with death. I then dialed and handed him the phone. I couldn’t hear all of what was being said but when he handed the phone back his mom told me to see what I could do to get him to Charlotte and they would be there waiting. They were actually headed that way to evacuate from the hurricane. There was a train leaving in 50 minutes so we were off to the races. Here is where things got crazy. At the train station we just had about 3 minutes to get him a ticket and boarded. Unfortunately that’s when we learn he doesn’t have a photo ID. No boarding public transportation without that. The next bad news is he can’t get one without a birth certificate! A million thoughts are racing through my head, how can I get him home to his family? I will not fail at this!! I guess I’ll drive him! After much deliberation, changing of plans, shuffling of driving and riding arrangements, everyone in our group worked together to allow myself and two other men to leave at 9pm last night with Isaac, drive him to Durham, NC and meet his parents at a roadside McDonald’s off I85. What a reunion it was. His parents are awesome people that love him with all their heart. There were lots of tears and praise to God that followed. At 1:30am we were huddled in a powerful prayer circle thanking God for putting us all in the right place at the right time, thanking him for protecting Isaac until the time was right for him to seek help and reunite with his family. We asked God for guidance, strength and wisdom for the battle ahead, and much more. After parting ways, the three of us reflected on what had just transpired and we were just in awe of how many pieces to the puzzle God had laid out for this situation to happen the way it just had. A hurricane literally put us on a collision course with destiny. A sinning redneck that happened to be born in South Carolina, who only recently joined a small, growing church which happened to be going on the first mission trip of this kind in their history, ending up talking with this one guy out of the 1,000’s of homeless in DC, connecting the dots, encouraging that phone call, his mother’s prayers, her brush with death and miracle recovery (less than 1% of people survive a torn aorta), her recent dreams of him returning home, his dire conditions finally having him ready for a change at the right time, the willingness of our entire group to help make this happen, on and on and on. These aren’t coincidences, they are the work of the hand of God! Thanks be to him! If you are a person that believes in the power of prayer please keep Isaac and his family in your prayers. They will need them in the months and years to come. I’m so thankful for the enlightenment that this experience has given me. I am thankful for the new friends I’ve made within my church, as well as Isaac and his family. I’m already looking forward to the next adventure God lays in front of me. Jamie Humphrey is a 35-year-old native San Diegan. She has been united in wedded bliss to her soul mate, Eli, for almost 9 years. Together they have a beautiful 7-year-old daughter, Serenity and a handsome 5-year-old son, Justice. Jamie spends her days delighting in her children and her evenings joyfully making dinner, doing laundry and cleaning the house. What a wonderful life it is! TRANSLATION: Jamie is a stay at home mom that is always trying to find her purpose and worth in the mundane and repetitive tasks of homemaking. She never dreamed of not having a job outside the home but God’s grace is sufficient. His plan for her life is sanctifying and He always uses her to glorify His kingdom whether it is at the kid’s soccer practice or their school. God is good. “But encourage one another daily, as long as it is called ‘today,’ so that none of you may be hardened by sin’s deceitfulness” Hebrews 3:13 (NIV). Before I share my personal story and my journey with discovering my need for my daily dose of courage (being the fear-prone person that I was and sometimes am), as a teacher of the Word of God, I want to first lay the groundwork. I discovered that if I neglected my need for a daily dose of encouragement, I was in danger of a hardened heart. Encouragement takes different forms, as we see from the definition above. Without writing the entire verses out, I will paraphrase. The “one another” scriptures have much to do with encouragement. I was not raised in a Christian home, and as far back as I can remember I was a fearful child and adult. 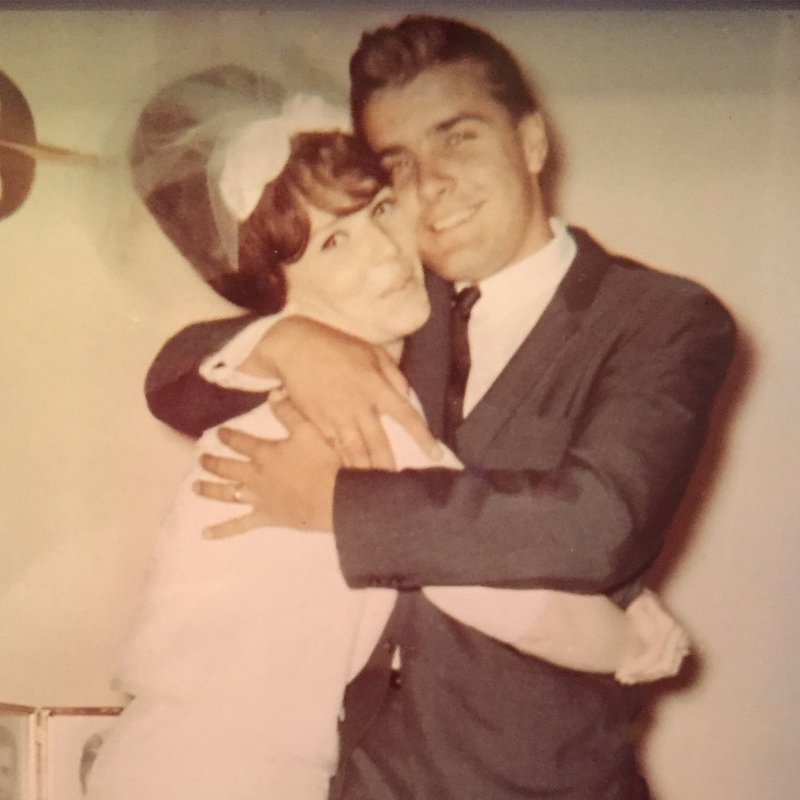 Married at 16 to my only ever boyfriend. Afraid of death, disease, robbery, accidents and on and on. Our family tree was riddled with mental illness, having two aunts and one uncle who were institutionalized from their teen years until death. Mental illness manifested in my life in a debilitating way in my late 20s as inordinate fears and phobias. I was ready to receive the words of Jesus about my need for salvation and deliverance. Two strangers from Campus Crusade for Christ knocked on my door in June of 1976 and prayed with me to receive Christ. The delivering power of salvation brought immediate peace and God’s love as well—“perfect love casts out fear.” Our family followed in that decision to receive Christ. One of the first verses the Lord brought to my attention was Isaiah 41:10, “So do not fear for I am with you; do not be dismayed, for I am your God. I will strengthen you and help you; I will uphold you with My righteous right hand” (NIV). Jesus brings the needed deliverance and we walk out that deliverance through God’s Word and obedience. Learning about my identity in Christ from scripture was the most life-changing area of my life. My greatest Encourager is the Lord Jesus Christ. “May the God who inspires men to endure, and gives them constant encouragement, give you a mind united with one another in your common loyalty to Christ Jesus” (Romans 15:5, PHILLIPS). I can neglect my daily dose of courage by neglecting my relationship with Him through ignoring God’s Word, prayer and the Body of Christ. We are to be “fear governed” not “fears driven.” Note the one fear we are to have from the Bible. It is the command from the Lord to encourage one another. I am to consider how to encourage and to be alert to those around me who may be battling the kind of fear that I remember so well. In Numbers, when the spies brought back a negative report and spread fear to their brothers and sisters, God called that evil. Speak life and not death to yourself and to others. From Romans 12, one of the seven gifts is encouragement, which I discovered I have from the gifts test. Knowing my gifts of perceiver, encourager and teacher was so important to know my strengths and weaknesses and to understand how the Lord wanted me to function in His church. If you have not taken our gifts test at The Father’s House, do so. You will not be sorry. It has been life-changing. Also learning your language of love and how you are filled up from others is really important in family relationships. The five love languages are acts of service, encouragement (words of affirmation), gift giving, physical touch and time spent (quality time). Do not neglect your need for your daily dose of courage through your relationship with Jesus through the Word of God, prayer and the body of Christ. He wants us to be faith-filled, confident women. As I close out my story I want to end with another scripture that has been my “go-to” scripture: “So do not throw away your confidence, for it will be richly rewarded” (Hebrews 10:35, NIV). Barbara Christiansen is married to Buzz, and the two just happily celebrated their 51st anniversary on June 14. They have two daughters and seven grandchildren. Barbara is the mother of Pastor Tracy Daugherty. She has been the prayer coordinator for TFH since the beginning. Barbara was led to Christ by a stranger from Campus Crusade for Christ who came to her door. Her family followed in her decision in 1976. One of her favorite verses: “Encourage one another daily, while it is still called today, lest any of you be hardened through the deceitfulness of sin” (Hebrews 3:13).